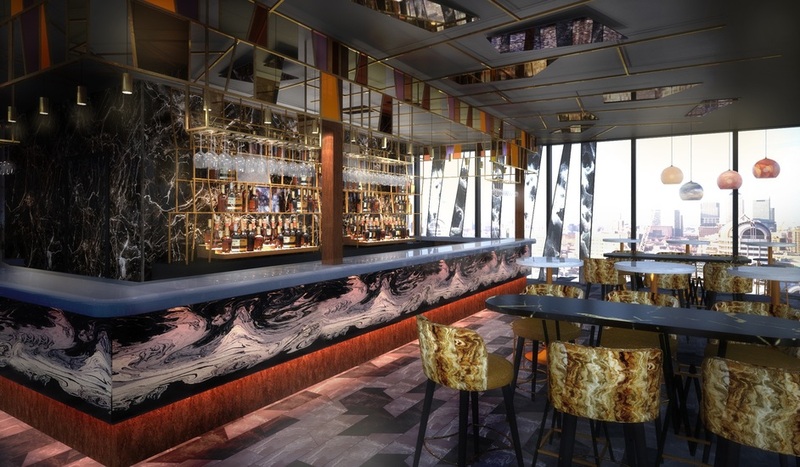 A sky-high bar, 12 storeys above the City, and far removed from the corporate streets below, Savage Garden is an all-day bar and cocktail lounge, located atop the DoubleTree by Hilton - Tower of London. From your plush velvet seat you get 360-degree views over landmarks like The Shard, Tower of London, The Gherkin and St. Paul's Cathedral. Going with the theme of 'uncontrolled Savage Garden', the colour scheme assaults the senses with soft lavenders and rose pinks set off by burnt oranges. Outside, a large all-weather north facing terrace, available for private hire, is set-up for all seasons thanks to its retractable roof. So you can lunch al fresco and enjoy sundown cocktails in the summer or sip on hot toddies while watching the fireworks come autumn. A second south gin terrace is the perfect place to while away warmer days. Savage Garden clubs, bars, cabaret nights, casinos and interesting nightlife. What are the best dining options near Savage Garden London? Savage Garden gyms, sporting activities, health & beauty and fitness. The best pubs near London Savage Garden. Where to have your meeting, conference, exhibition, private dining or training course near Savage Garden. From cheap budget accommodation to luxury 5 star suites see our discounts for Savage Garden hotels, including DoubleTree by Hilton Tower of London from 87% off.